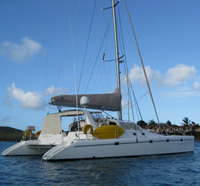 Mustang Sally ~ 44' Luxury Charter Catamaran - The Boat & Your Crewed Charter, British Virgin Islands Charter, Sailboat Charter. We represent power and sailing yachts from 40' to over 100' in the Caribbean, South Pacific, Mediterranean and the US East Coast. 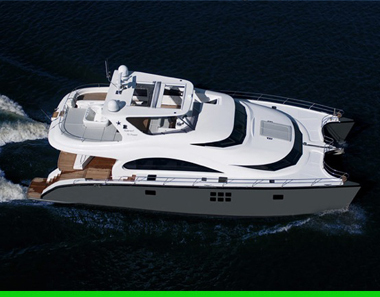 Your yacht can be fully crewed or a bareboat where you are captain for the voyage. On your yacht vacation you will enjoy spectacular boating and possibly a new beach every day. You will explore remote anchorages, kayak breath taking shorelines, hike, snorkel and scuba dive. Explore island towns and unique bars and restaurants or do absolutely nothing but lay in the warm sun. 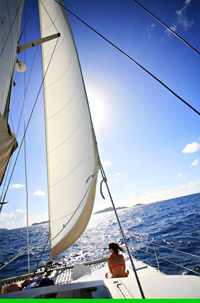 On crewed yachts you will find experienced, energetic fun loving crew. 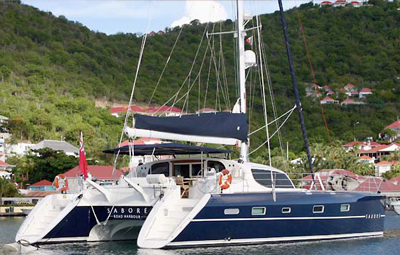 From the minute you step aboard you will fall in love with the freedom of a crewed charter. Our professional full time crews will provide you with a dream vacation that will inspire and change your life. 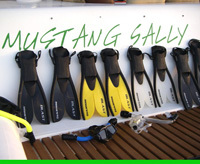 Many yachts have toys such as dive and snorkel equipment, fishing equipment, kayaks, tubes, water floats and some even offer water skiing. On All-Inclusive charters enjoy fabulous food and drink while all the work is left to the crew – and every night at sundown, share the famous "Sundowner" and make new friends, re-kindle old friendships or ignite romance, marveling at the beautiful sunset, the ocean and the lush tropical islands.